Following Mohamed Salah's response to his critics, ESPN FC's Steve Nicol explains what's missing from the Liverpool forward's game this campaign. Liverpool manager Jurgen Klopp praised the Anfield crowd for staying behind the side after Tottenham equalized in the second half. 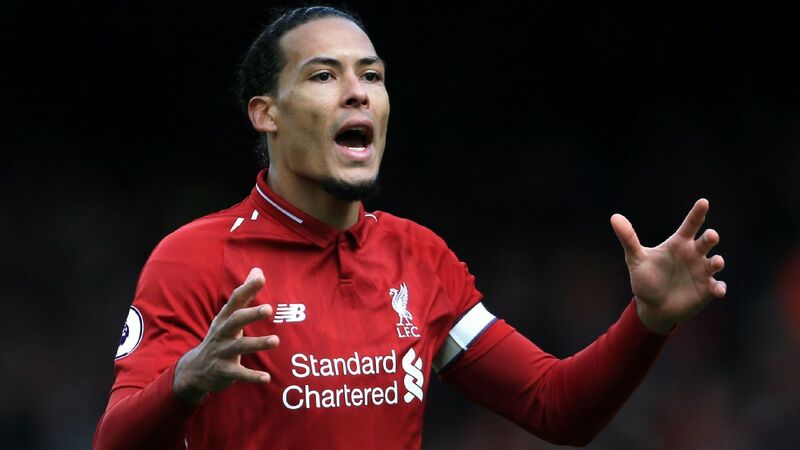 Liverpool defender Virgil van Dijk is expected to be fit to play in the Premier League clash with former club Southampton on Friday, sources have told ESPN FC, despite suffering an ankle injury in the closing stages of Sunday's 2-1 victory against Tottenham at Anfield. Van Dijk, an ever-present in the league for Jurgen Klopp's team this season, will be assessed by Liverpool's medical staff at the club's Melwood training ground on Monday, but sources have said that there is no sense of alarm over the Dutch international's fitness. The 27-year-old has been a crucial figure for Liverpool in their title challenge this season after becoming the world's most expensive defender following his £75 million arrival from Southampton in Jan 2018. But although he was limping heavily towards the end of the Spurs victory, Liverpool are confident Van Dijk suffered nothing more than bruising, rather than ligament damage, after receiving a kick on his right ankle. Liverpool responded to Manchester City's victory at Fulham on Saturday by reclaiming top spot in the Premier League, and restoring their two-point lead, thanks to Toby Alderweireld's 89th minute own goal. City can return to the top with a win against Cardiff at the Etihad on Wednesday, but Liverpool can end the week in first position with victory at St Mary's, regardless of City's result against Neil Warnock's team.